As manager of Long & Foster’s high-performance Devon sales office, Janet leads an extraordinary team of over 150 sales professionals representing buyers and sellers throughout Berks, Bucks, Chester, Delaware, Montgomery, Philadelphia counties and The Main Line. Under Janet’s direction, this diverse and talented group sells a variety of properties in all price ranges, from condominiums, equestrian properties, income properties, and new construction to world-class luxury properties and estates. With over thirty years of extensive knowledge in all facets of the real estate profession, Janet Rubino enjoys a stellar reputation as an accomplished and highly respected real estate professional. Her vast expertise, education and training ensure smooth and successful transactions for her clients, no matter what type of transaction: residential resale, commercial, new construction and land sales, equestrian properties, historic homes, or luxury and estate properties. A consummate professional, Janet’s clients benefit from her quick, timely responses to their needs and concerns, resulting in many referrals from past and present buyers and sellers. Her innovative marketing techniques, savvy negotiating skills, integrity and dedication to customer service enable her to make every client’s real estate experience exceptional. As a lifelong resident of the Main Line, Janet’s intimate knowledge of this very special area gives her clients a huge advantage whether buying or selling. Janet has been a multi-million dollar producer throughout her career, and is recognized as one of the top sales associates throughout the Delaware Valley and the Main Line. She is a Christie’s International Real Estate Specialist, an Extraordinary Properties Specialist, and a member of the Homebuilder’s Associations of both Chester & Delaware Counties and Bucks & Montgomery Counties. Janet is a member of Long & Foster’s prestigious Gold Team and Founder’s Club, an honor reserved for the top 2% of all sales agents throughout Long & Foster, currently over 13,000 sales agents. In 2013 she was one of 15 finalists for the Foster Cup, Long & Foster’s highest award for sales managers. 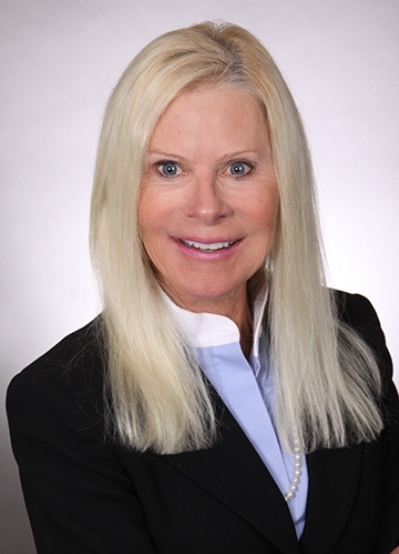 Janet holds her associate broker’s license in Pennsylvania, New Jersey and Maryland. She is also a State Certified Real Estate Instructor and has taught at Immaculata University, West Chester University and Metropolitan Real Estate School. A graduate of Great Valley High School in Malvern, Janet was educated at the University of San Francisco in Guadalajara, Mexico and Vermont College for Women. Janet has served her community by volunteering with a variety of civic and community organizations. She devotes her free time to her family, her horses and her music.